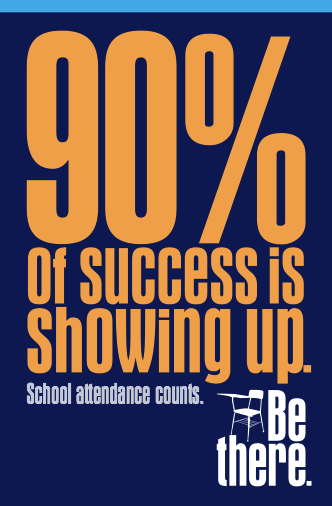 Good attendance is essential to academic success. That’s why school officials are committed to raising awareness about the value of regular school attendance and focus on reducing chronic absenteeism each school year through their Attendance Matters campaign. Use data to determine when and with whom chronic absence is a problem. 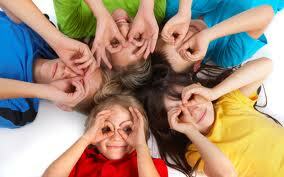 Absenteeism in the first month of school can predict poor attendance throughout the school year. Half the students who miss two to four days go on to miss nearly a month of school. An estimated five million to seven million U.S. students miss nearly a month of school each year. Absenteeism and its ill effects start early. One in ten kindergarten and first-grade students are chronically absent. By sixth grade, chronic absence becomes a leading indicator that a student will drop out of high school. Research shows that missing ten percent of the school year, or about 18 days in most school districts, negatively affects a student’s academic performance. That’s just two days a month and that’s known as chronic absence. The academic impact of missing that much school is the same whether the absences are excused or unexcused. Suspensions also add to lost time in the classroom. Low-income students are four times more likely to be chronically absent than others often for reasons beyond their control, such as unstable housing, unreliable transportation and a lack of access to health care. 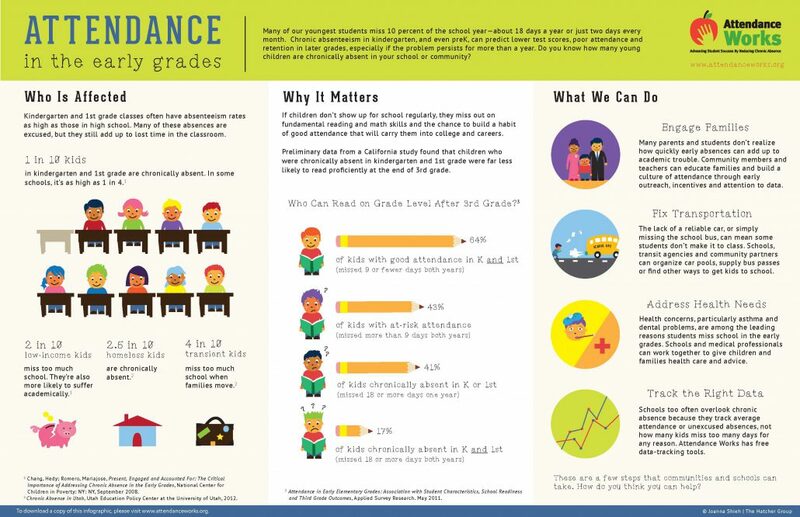 When students improve their attendance rates, they improve their academic prospects and chances for graduating. 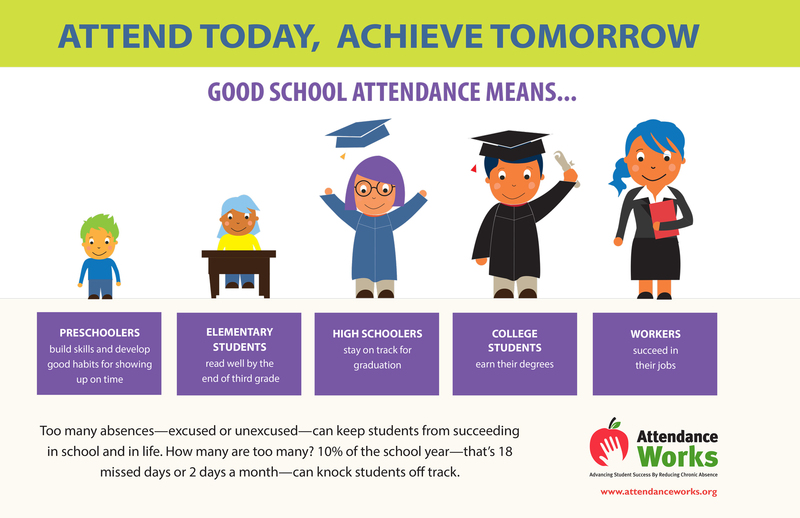 Attendance improves when schools engage students and parents in positive ways and when schools provide mentors for chronically absent students.